Can I Use an Internal Hard Drive from an Old Machine as an External Drive on a New One? - Ask Leo! Can I Use an Internal Hard Drive from an Old Machine as an External Drive on a New One? When replacing a hard drive or an entire machine, it can be very convenient to have the old hard drive available in an external drive enclosure. I am currently using an E-machine using Windows Vista. I bought the machine used and have added external hard drives from WD (120GB) and Seagate (350GB). My wife and I play a lot of games from Big Fish and other providers, which I download to my external hard drives. Her machine uses Windows XP. I have a Dell using Windows 2000 and a Panasonic laptop running Windows XP, which have died. Can I remove the hard drives from these two old/broken machines and make them external hard drives so I can use the information and games on my E-machine? How do I find out what size enclosure to use for this job? You can certainly take the drives out of old machines and use them as external drives on other systems. It’s actually a common and fairly easy way to perform some data recovery. As long as those drives aren’t the cause of the system failure in the first place, the data on them should still be accessible. There’s a catch for running software from those drives, however, that I’ll speak to in a moment. More to the point is getting the right external enclosure. Not only do you have size to worry about, but interface as well. The larger drives are what you’ll typically find inside desktop PCs, and the smaller is used in laptops and other portable devices. Naturally, the external hard drive enclosure that you plan to get needs to accommodate the size of drive you have. Hard drives use one of two interfaces (connectors): IDE (Integrated Drive Electronics), sometimes also referred to as PATA (Parallel Advanced Technology Attachment), and SATA (Serial Advanced Technology Attachment). IDE/PATA is the most common on older computers, whereas SATA is prevalent in laptops and most new desktop computers. Besides being physically distinct, the interface determines how the hard drive communicates with the motherboard’s hard disk controller. Provides power: When a drive is installed inside a computer, that computer provides the power to run the drive. That power is not typically available via external interfaces†, so most external drive enclosures include a separate power supply that is plugged into the wall or a power strip. Note the absence of any cooling. While a few external drive enclosures include fans, most do not. This can be an important consideration because hard drives can run hot. Without a fan of its own, the external drive enclosure is relying on ambient airflow to keep the drive cool. Make sure that it’s used in an open and unobstructed location. For the most part, an external drive is just another hard disk on your system. While external drives are commonly used for backup, you can actually use it for almost anything that you might use an additional internal drive for. I don’t recommend installing software to an external drive. By that, I mean any program that uses a setup program. External drives may see their drive letters re-assigned occasionally. While annoying for any number of reasons, it’s particularly problematic if a program installed as being on the “G:” drive is suddenly on “H:”. In your case, because the drives used to be internal drives, software that was previously installed via some kind of setup will not work. That software will need to be set up again from original setup discs. On the other hand, portable applications that don’t require a setup will usually work. An external drive is likely to be slower than an internal drive. That means that, depending on how you’re using it, you may not want to put files on it that you access heavily; this includes program files. An external drive is, as far as the operating system is concerned, ephemeral. They can be removed at any time. The operating system shouldn’t allow you to place the paging file on an external drive, for example. (If it would allow it, don’t, for the speed reasons I just mentioned.) Similarly, I would not recommend moving My Documents, the system temporary folder, or any system-defined folders to an external drive. Should the external drive ever be removed, your system will be very, very confused. I find that external drives are the perfect places to keep large quantities of accumulated data that I’m not constantly accessing. Backups, for example, as well as photos, videos, documents and more. Can I Convert an External USB Hard Drive into an Internal One? - External hard drives are handy and portable, but occasionally, it might be nice to move all that storage into your PC. You probably can. What’s the difference between SATA and PATA and IDE? - SATA and PATA are two different and incompatible disk drive interfaces. PATA's the old guard, but SATA's taking over. I'll look at the differences. Can I Move My Old Computer’s Hard Drive to My New Computer? - Usually you can take the internal hard disk of an old computer and install it as an additional drive in a new one. There's also a more flexible alternative. Can you recommend a good external hard drive? - Quality and features in hard drives can change over time. So first, look at your needs. « Previous post: How do I change my Hotmail alternate email address? Id like to mention that portable applications (that means with no installer) will (well, should) work on external drives just fine. About recovering/using data from old Hard Drives. Where do I find housings for old HDs? Old computers? How do I determine whether they are IDE/PATA or SATA? I have four HDs from old computers that were Win 98 machines (or older). 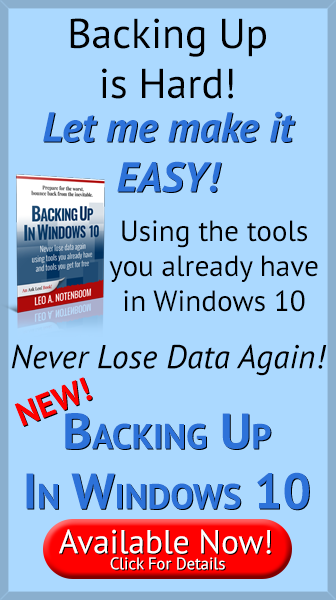 Can I capture their data using a Vista or Win 7 machine? Will I be able to just access/read that data with Windows Explorer? Thanks. You can use the pictures in the article above to determin if the interface is IDE or SATA by the connectors used. Just search Amazon or your favorite computer store for “external drive enclosure”. I’ve tried hooking old Hd’s with those goodies and i found if you lay them edgewise on a desk, or something, they will keep cool and work – if they cooperate. Re. comment about trying to put the paging file on external drives. I went through the motions of trying to do this on XP. In fact, I was trying to split (stripe?) the paging file over all my drives, as I have four externals and saw this recommended elsewhere, as Windows is supposed to use the fastest drive (or so the article said) for the page file. I did all this in the “virtual memory” section of System Properties, as you might expect, setting everything and re-booting. No warning at all that it couldn’t be done and everything showed as it should in the properties. When I looked at the individual drives’ contents however, only the “C” drive and the additional internal drive had “pagefile.sys” on them. Nothing on the others. This obviously kicks into touch the folk who say you can put the page file on a USB memory stick. I would have thought some sort of warning that it can’t be done would be in order, unless Windows doesn’t know an external drive from an internal! Unlikely I would think. Leo, you do mean 2.5″ for the smaller notebook drive right. Seems to me to be an awful lot of trouble to go to when a new 1 terabyte Verbatim Hard Drive just cost me $68.00 – on sale of course, but I didn’t have to reach for a screwdriver!! Very true, drives are cheap … but data typically is not. Most often this scenario becomes important when people are attempting to get valuable data off of one of these drives. Just to add another suggestion to what others have said, CompUSA (Tigerdirect) Sells a Diablotek kit for about $23 that includes it’s own power supply and allows you to connect 2.5″ or 3.5″ and either SATA or IDE and is the only kit I’ve found that allows ‘hot swapping’ of hard drives. (Which means you don’t have to reboot your computer to change drives, just unplug one and plug in another – it also can be used to connect virtually any CD or DVD drive). It works on any computer with a 2.0 USB port. Why not install the old one internally in a master-slave config instead? Not everyone feels comfortable opening their computer. Making an external drive out of it also makes it more flexible as it can be connected easily to any computer. I have just taken a 40Gb ATA drive out of my old Vaio laptop and put it in a can. I bought the can off ebay for £3.29 and it works great. Type “2.5 or 3.5 caddy” in ebay and that should bring up sellers of these cans. Mine came with a double USB connection for power so it’s very compact, just a bit bigger than a cigarette packet. Search for “external drive enclosure”, not “can”, and you’ll get lots of options. I pulled a hard drive from a crashed dell and set it up for external storage and well !! !– all of a sudden red banners went streaming across my monitor sirens went off !!! Thankfully my Anti-verse blocked it. Be up to date with your anti-verse for sure. I’ve got a couple of 250 GB IDE hard drives, and it’s unlikely that I will ever again buy a computer which supports IDE for internal hard drives. Why would I throw them away, when I can use them? For example, I can install a version of Linux that I want to test, without disturbing what is on my internal drive. 1. Better do NOT plug the drive while the system is off unless you have disabled USB Reboot capability in your BIOS or you have not had any operating system on the disk nor anything which may “Autorun”. 2. I have a problem when I want to open the old “Documents” folder. I get a message the folder is locked and cannot be accessed. There was a piece of software which would delete directories of Windows forcefully, I do not know whether this would help reading the directories or whether these would be put in the “Recycle Bin” where to read them from. Changing the attributes did not seem to help. Does anyone know any way to read the folders? I believe that that’s this article: How do I gain access to files that Windows says I don’t have permission to access? internal: 160GB SATA 1, 5200 RPM, 8mb cache. Would it be wise to load on os on an external hard drive via usb 3.0? would it not be faster? I’ve followed your instructions and used the Command Prompt trying to get access to a hard drive I took out of my old Win XP PC which I installed in an external drive enclosure but I’m still getting ‘Access is denied’. The drive is recognized in my new Win 7 as Microsoft Office Click-to-Run 2010. Any advice on this one, please? how can i make an enclosure for 3.5″ IDE hard drive?? ?’please help!! Make? I wouldn’t advise that. They’re easily purchased at computer stores and even Amazon.com. Another option is the hard drive drawer (which I have used for IDE drives; haven’t checked availability for USB). Think of this as having external drives that can be slipped into an empty bay. Its main advantages are speed and that you can cold-swap your boot (C) drive. So you can have your own boot drive and another for the grandkids – now the kids can have fun on your computer without endangering your hard drive. The original installation requires opening your computer. Perhaps someone will fill in the blanks for us. Does the converted external drive need a OS. If possible I would like to empty the drive. Your converted external doesn’t need an OS. You can safely format or delete all of the files on it. Hi. I have similar qustion. My old laptop Dell E 1405 dont startup. I want to install the Hard drive from that in to my newer Dell N4110 computer. The latter has windows 7 and the old windows Vista. Can this be done. I have obtion as my wife has Dell with Windows vista with also SATA Drive. Maybe, but there’s no simple answer to that question. When you move the hard drive from one computer to another you often have driver problems. Whenever I’ve moved a hard drive with Windows into another computer, I’ve had do do quite a bit of tweaking to get it to work properly. Can I move my system drive to another computer and have it work?